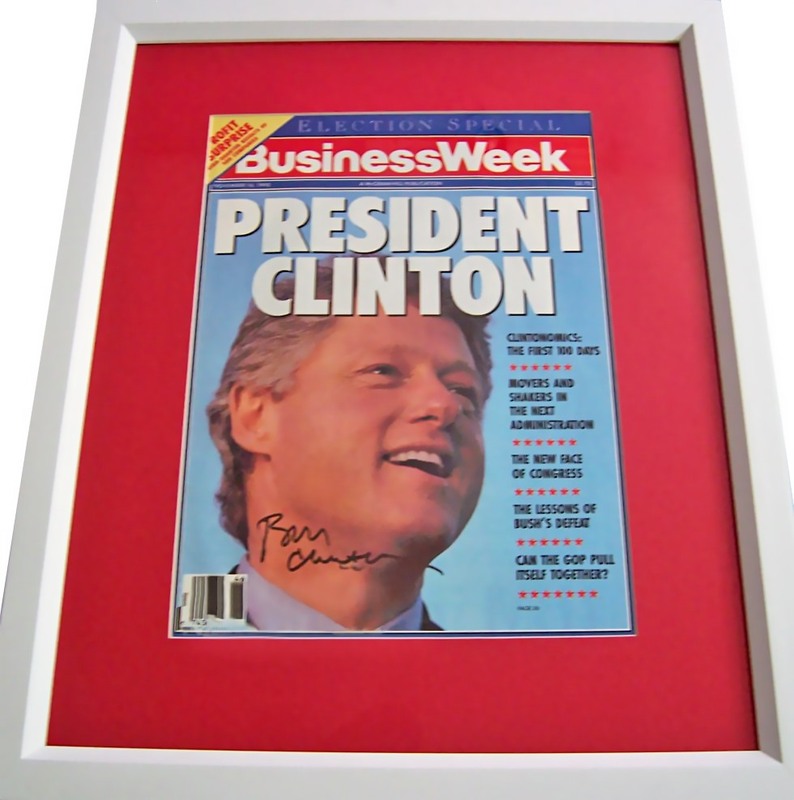 1992 Business Week magazine cover autographed in black marker by former President Bill Clinton, professionally matted in red and framed with glass in white, ready to hang. 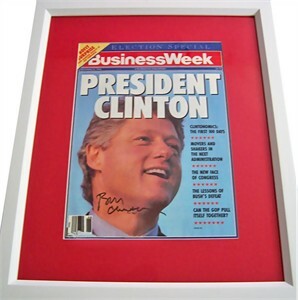 NOTE: subscription label has been partially removed. ONLY ONE AVAILABLE FOR SALE. With certificate of authenticity from AutographsForSale.com.